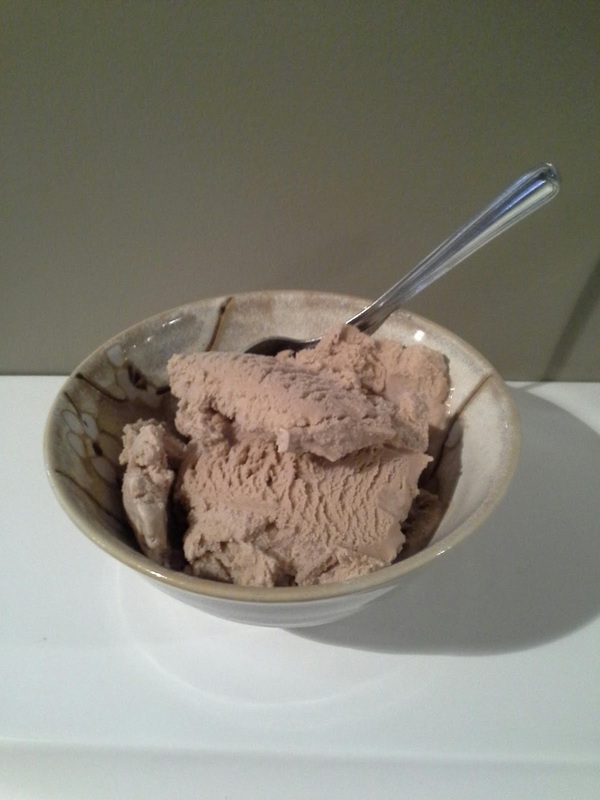 So... the other day, my lovely Mrs. came home from the Paderno sale with a Cuisinart ice cream maker. 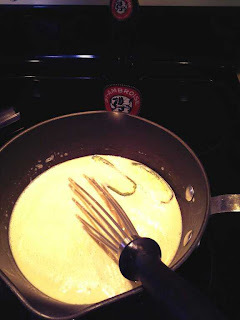 Of course, as with all my wife's purchases, I was supportive and accepting of it... especially in this case, as I like ice cream (it's genetic) and I knew I had some beer-related recipes / ideas kicking around. The first batch, then, of course, was one with beer. 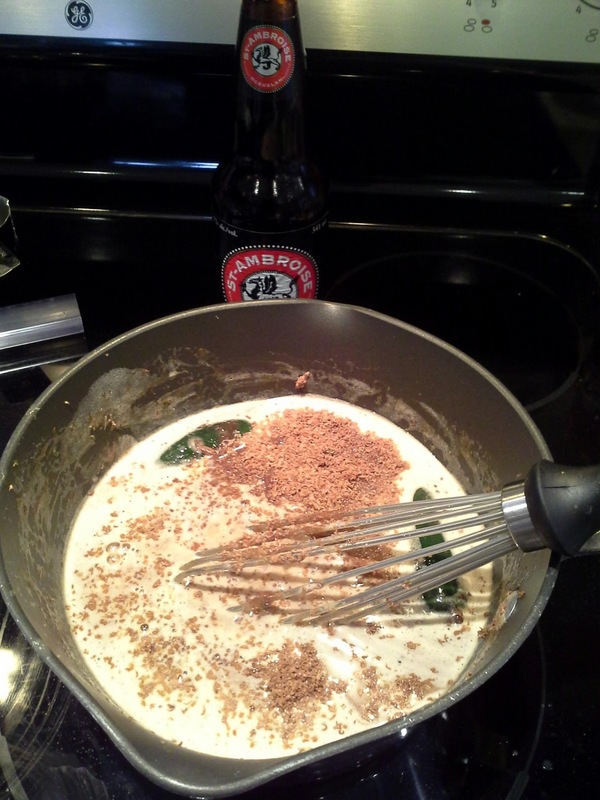 I used a recipe from Paul Mercurio's Cooking with Beer, one for a chocolate jalapeno stout. I used St. Ambroise's Oatmeal Stout, a milk chocolate Lindt bar, & one jalapeno pepper (that gets taken out along the way. Other than that, it's just an egg, whipping cream, milk, & icing sugar. Pretty simple, I must say, & it came out pretty tasty - not too much heat, smooth, & tasty... the beer in it's pretty light, but it's there. Next time, I think I'd add darker chocolate... and maybe a bit more stout or a stronger dark beer.